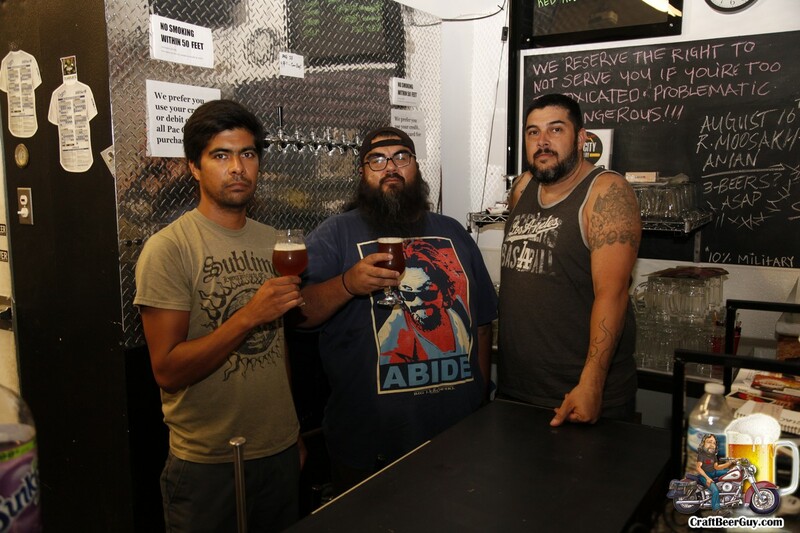 Pac City Brewery, Pacoima’s first and one of the San Fernando Valley’s only craft breweries will be closing their doors at the end of November. 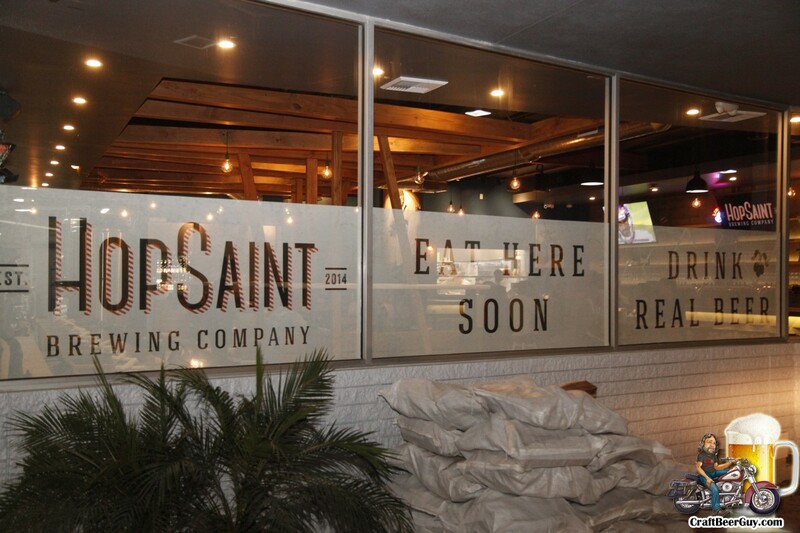 I spoke with Pac City Brewery owner, Robert Cortez, last night and he explained that it is with a heavy heart that he closes the doors at his current location but it just is not safe for their customers to come to the tasting room. Saturday afternoon I decided to check out a couple relatively new production breweries that I had not visited yet and pay a return visit to the only craft brewery that has seen fit to name a beer after me. The tasting rooms I visited were Bottle Logic Brewing, Pacific Plate Brewing and Pac City Brewery; with a stop by Lucky Baldwin’s Delirium for a bite to eat. Our first stop was Bottle Logic Brewing in Anaheim. Bottle Logic opened in February of this year and while this was my first visit to their tasting room, I did have an opportunity to try a couple of their beers at The Bruery’s Sucréversary event back in May so I had a fairly good idea of what to expect as far as their brews were concerned; I was not disappointed. On the day of our visit they had about 14 beers on tap, with the tap list being broken up to their five “Constants” which make up their flagship beers; and their six “Variables” which consist of their seasonal beers. There were also a few others that are experimental and one-offs. We started off with a flight of their Constants and their Lucky Panda; my fiancee really enjoyed their rice lagers, Hanamichi and Lucky Panda. For me, the Double Actuator Double IPA was my favorite, by far. I then tried the Dr. Strangematter Imperial Saison and immediately requested a bottle to go; it is delicious. On Sunday afternoon the L.A. Beer Bloggers held their LA Beer Bloggers Summit No. 11 with tours of two of L.A.’s newest production craft breweries; Pac City Brewery in Pacoima and MacLeod Ale Brewing Company in Van Nuys. Pac City Brewery had their ribbon cutting was held at the end of April and since then they have been brewing up a storm, including the first beer ever named after me; Lloyd’s Hazel Nuts. While the beer was only a few days old it was pretty tasty, especially if you enjoy hazelnuts. I look forward to trying it again in a couple of weeks. Tuesday afternoon I took advantage of the great Earth Day weather and rode out to the Los Angeles suburb of Pacoima to attend the ribbon cutting and soft opening of Pacoima’s first production brewery, Pac City Brewery. Pac City Brewery is a three (3) barrel microbrewery that will not have a tasting room in the foreseeable future but plans on working closely with local eateries and drinking holes to ensure their beers are readily available to those seeking it out. While they cannot have a tasting room, they will be able to hold events that include their beers on the spacious property that their brewery is located on. The Pac City Brewing team is made up of CEO and head brewer Robert Cortez, Miguel Duran, Fernando Palacios and Robert’s brother Art Cortez. The ribbon cutting was attended by several friends and family members as well as the LA City Council, the Chamber of Commerce, LAPD and several representatives of the local craft beer scene.